Tucked away in a popular residential location in the heart of the town centre, is this very well presented two double bedroom cottage with an enclosed courtyard garden to the rear. This gas centrally heated (from combi boiler) and uPVC double glazed property comprises: on the ground floor, a dual aspect living / dining room, modern fitted kitchen and modern recently fitted bathroom. On the first floor are two double bedrooms. 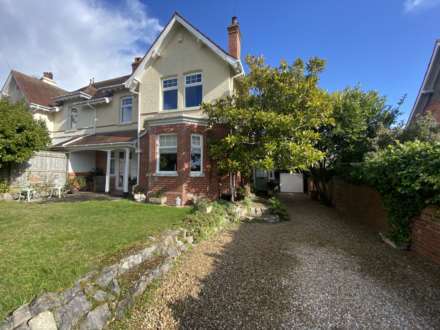 Situated within walking distance of Exmouth Town Centre, Train Station and Seafront, an early appointment to view is strongly advised. Obscure uPVC double glazed window to side. A recently installed white suite comprising panelled bath with thermostatically controlled shower unit, folding shower screen doors. Complimentary wall tiling. Low level WC. Pedestal wash hand basin. Central heating radiator. Extractor fan. Double glazed window to rear. Central heating radiator. Double glazed window to front. Central heating radiator. Access to insulated loft space, part boarded, via trapdoor with ladder. From our prominent Town Centre office, proceed down Rolle Street towards The Strand Gardens and turn right at the roundabout into The Parade. Continue into Exeter Road where Meadow Street will be found the third turning on the right. The property will be found on the left hand side, clearly identified by our For Sale sign.